The Microdry Pet team is probably one of the only groups of people and pets who want to go to the office on Thanksgiving morning. 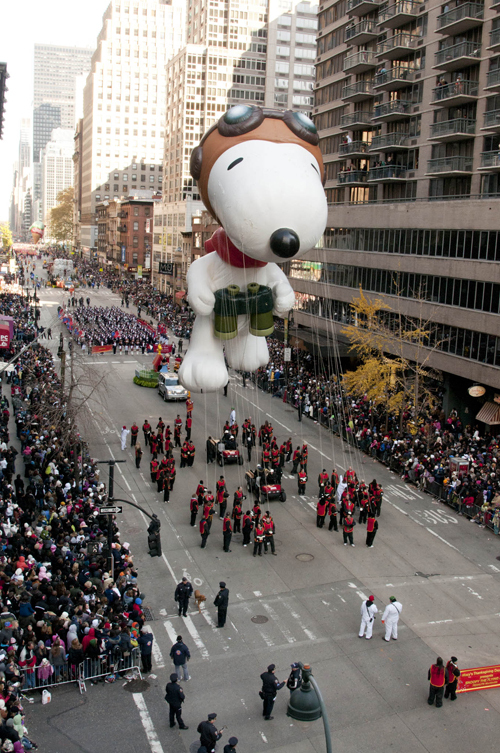 That’s because the company HQ is right on the Macy’s Thanksgiving Day Parade route. The team enjoyed a lovely breakfast and eye-to-eye views with the balloons that make the parade so famous. Of course, the most popular balloon to go by was Snoopy. This entry was posted on Thursday, December 1st, 2011 at 2:57 PM. It is filed under Blog. You can follow any responses to this entry through the RSS 2.0 feed.